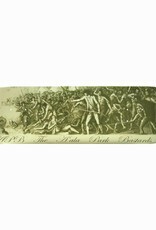 APB Death To Cook Deck - APB Skateshop LLC. 240 years ago, on February 14th, 1779, British Naval Captain James Cook wore out his welcome.. He and his crew were the first Europeans to arrive in Hawaii. The white sails towering above their ships and their pale complexions signaled the arrival of something great, and at the start, the Hawaiian people welcomed them with open arms. During their first visit to our islands, the well-traveled Captain and his crew had a pretty good time taking up the resources, kindness, and Aloha extended by their Hawaiian hosts. But where the Hawaiian people gave an inch, Cook and his crew took a mile. On their final visit the Captain’s extra mile cost him his life. 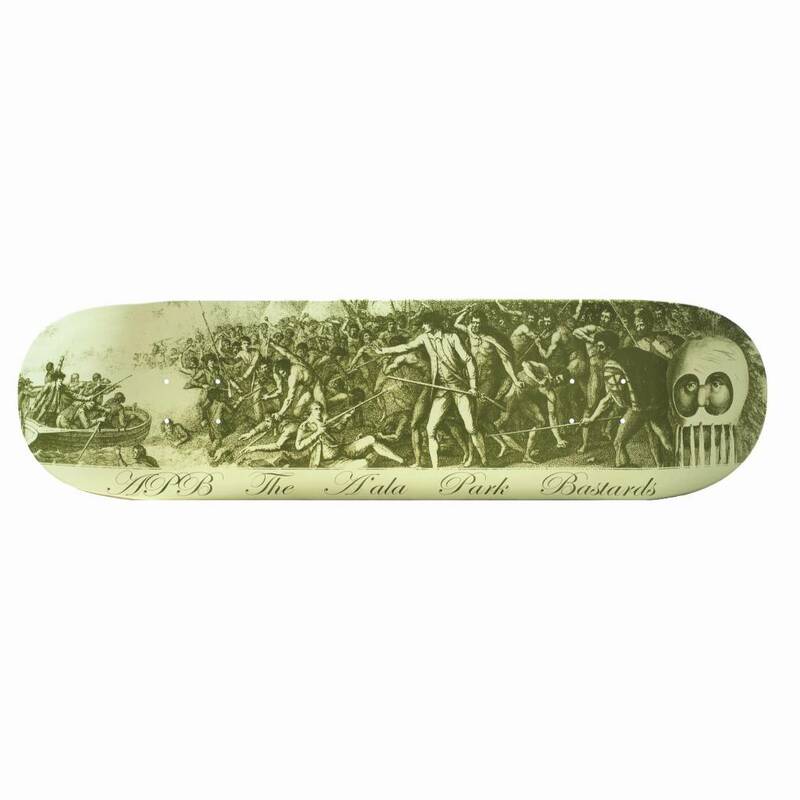 To commemorate that fateful day, APB is rereleasing their Captain Cook deck on the anniversary of his death, February 14th. This date is more commonly associated with Valentine’s Day – a day of love. APB loves skateboarding, Hawaii, and all of its people – both native and visiting. So ride this deck with respect and Aloha that the ancient Hawaiians showed, and don’t be the one that takes the same mile that the Captain did. Because if you act like a kook you might end up like Cook.